Welcome to Episode 117 of HubShots! This episode we discuss tailored Lead Flows, HubSpot’s upcoming integration with ManyChat, improved HubSpot Meetings functionality and our favourite feedback from the Sydney HubSpot User Group this week. We have under 160 days to Inbound18. Who will be coming? But onto the Sydney HubSpot User Group. We had a great turnout and you can download the wealth of knowledge that was shared on the night here. Remember to apply that knowledge and understanding. Craig presented on the 5 Marketing Trends You Need to be Implementing Now! Plus Elissa Hudson spoke about Why Facebook Messenger is the Next Big Marketing Channel. You can download the presentation decks here. For more images of the night, checkout this shared album. Interesting observation: no one taking selfies! Most of the feedback has been overwhelmingly positive, people saying they loved the venue, food, speakers, presentations, panel session and vibe. The next event will be held in May 2018. There are one or two generic Lead Flows that have really low conversion rates. There’s tons of opportunity here. The secret is to tailor the Lead Flows to specific pages. Would you like help setting up Lead Flows for your business? Perhaps our HubSpot Lead Flow Setup Service can help. We setup 5 tailored Lead Flows for you – full details here. 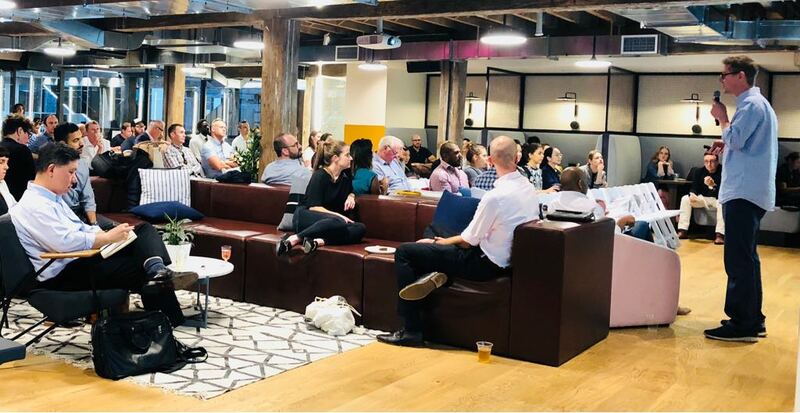 After learning all things about Facebook Messenger at the last Sydney HUG we know that in the next few weeks there will be a native integration between HubSpot & ManyChat. ManyChat lets you create a Facebook Messenger bot for your marketing, sales and support. It’s easy and free. Coming in May we will see HubSpot conversations will be one of the first platform-level features available in the soon-to-be-released HubSpot Service Hub. This will be in HubSpot CRM Free. Cleanup your data before you load it into HubSpot. Why are we saying this? Because not doing it can cause you a lot of headaches as you implement and use HubSpot to market your business. Recently we have experienced customers who load all their data without thinking through what is going in and how old the contacts are can run into big issues. One being getting your account stopped by HubSpot and having contacts quarantined. Look at your data that you want to use. Determine what fields you need. Then check the mapping of that into HubSpot contact properties. Then split your customer list in 1-2 year blocks before loading. This is because there is on average contact decay of 25% year on year. As a precautionary measure you can use Clearbit to enhance and check your data before loading it in. Control Your Branding by Hosting Meetings Links from Your Own Domain. Caveat, if you have multiple domains (like Craig and Ian) then you only get to choose one. Meetings Submissions Now Act as Forms – this is the biggest one! This comment resonates with us. I think we need to always come back to the why and understand on a daily basis if what we are doing is getting us towards our greater goal when implementing marketing activities. converting audio (like this podcast) or video to text. This is for those of you with families. Apple launched this week a Families section on their website.